Almost 60 years separate Marius Millet’s traditional beginnings from the Millet group’s efficient production sites. 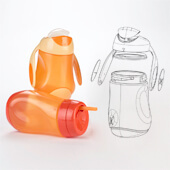 In its historical homeland in the Jura mountains in France, Millet has contributed to the growth of «Plastic Valley» to today become an internationally renowned expert in the transformation of plastics by injection molding and extrusion blow molding. demanding needs in the foodstuffs, energy, phytochemicals, hygiene, health, public and professional equipment industries. 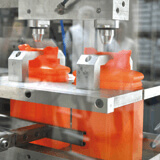 The flexibility and reactivity of its teams optimize innovation and personalization of your plastics’ solutions. Sharing more than just ideas. As your genuine partner and co-designer offering the right solutions, our design office supports you and implements the processes required to a successful production. With our fleet of 50 machines, between 40t and 1,100t, and our know-how in singlematerial and bi-material injection, overmolding, etc., our teams have everything it takes to meet the demands of your product. 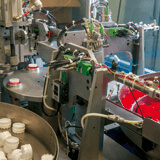 Our 80 blow molding machines, installed on seven sites, can produce recipients containing between 75ml and 100l by continuous extrusion, and your technical parts by accumulation. 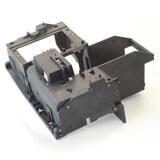 Coextrusion, over-molding, stamping and automatic cutting are just some of the techniques that our teams use to breathe new life into your ideas! Pad printing, screen printing, hot stamping, labelling, shrinkable sleeves, etc. We make your products unique! 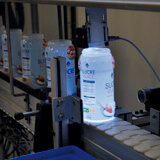 Our assembly lines and our automated solutions form a perfect synergy with the rest of our technologies to optimize your flows. From the material to the product: make your life easier!